Last night I took the train up to Shinagawa (Tokyo) to meet up with some ladies for food, drinks and such. I was having such a good time I didn’t think to take any photos so I’ll just paint a picture lol. I met them at an oyster bar ( there were 8 of us) in the Atre mall where they had a couple of rounds of oyster plates – I’m not an oyster fan so I ordered the salmon dish and wasabe mashed potatoes that were obnoxiously delicious! I did split one oyster with another girl there so we could try it. Yeh, still not a fan. It’s just too fishy for me and kinda too squishy but at least this time it did actually get down my throat. Every other time I’ve tried them my throat closes up and refuses it. We lingered there for a bit, drinking and munching then decided to jump on the train to Yokohama to go do some karaoke. Now, everyone who knows me is well aware that I don’t sing, specially with a mic in front of me. It’s just not a gene I was given. I would even say I’m probably tone def. But, that wouldn’t keep me from going with them, having fun watching and joking around. So, off we went. After a few minutes on a train we arrived in Yokohama and walked a few blocks to a posh karaoke bar one of the girls knew about. This place was freaking awesome! For 800 yen per person they gave us a private room with a huge table and couch lined wall, microphones, t.v with karaoke machine and drink/food menus. So, basically we had our own karaoke party. It was really cool. After trying to figure out how everything worked and ordering drinks the girls started singing their hearts out. The ones that sang were actually pretty good, of course. lol Singing, drinking, joking, laughing….it was just an all around great time. There was an interesting selection from Bon Jovi to Lady GaGa and Whitney Houston being belted out. When our hour was up we had to hurry to the train station to catch the last trains out to take us all home but we made it there with a couple of minutes to spare. lol All of us huffing and puffing a bit. Off we went on our train to everywhere. Got to Chuo station (my stop) and got off, walked to 7/11 and grabbed some snacks and headed home. 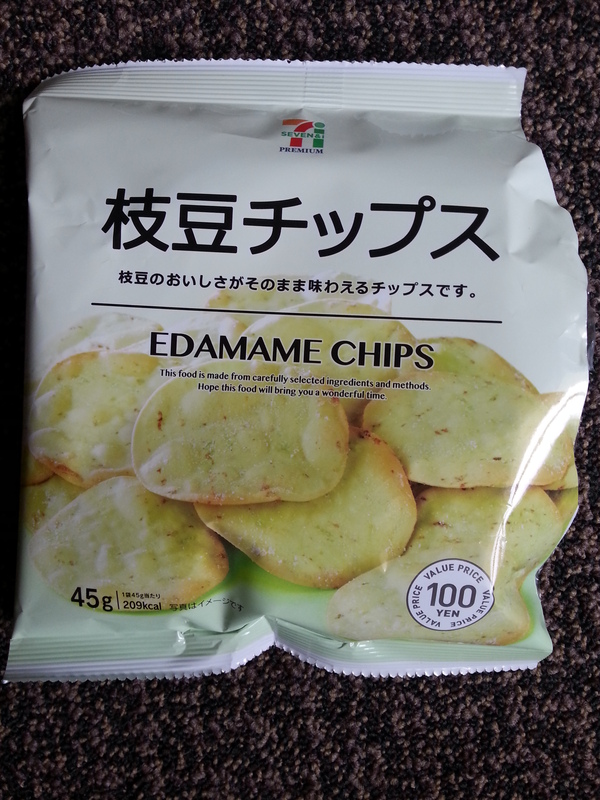 The Edamame Chips were AWESOME! 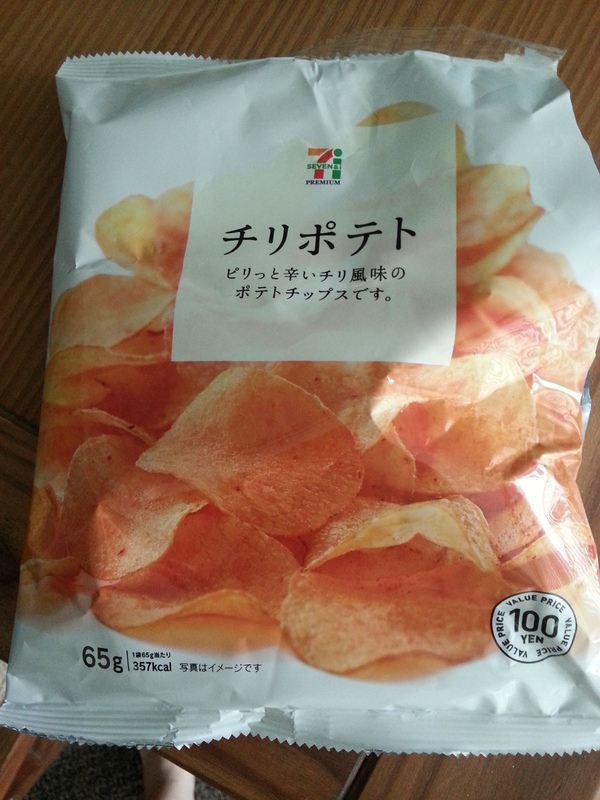 (those were breakfast this morning lol) The second was a pizza flavored potato chip – were ok. The third were spicy! Not bad. 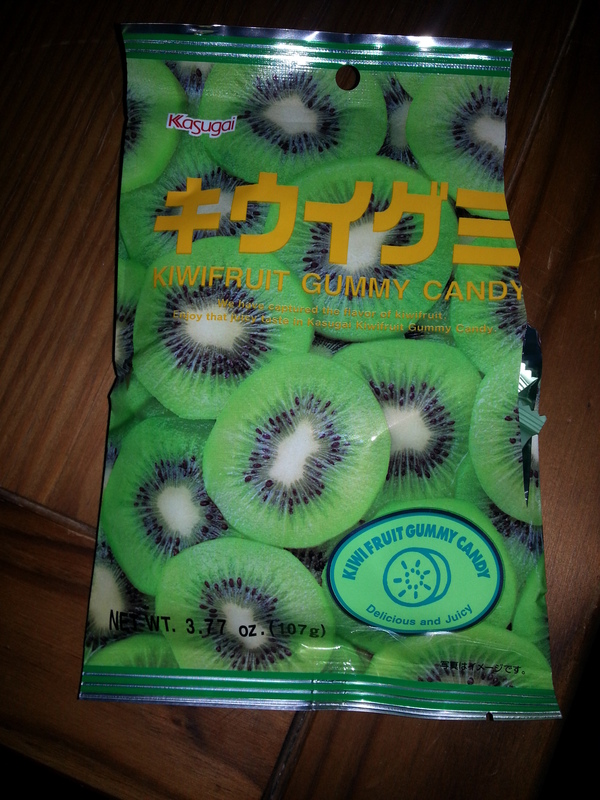 The Kiwi candy I got last week and are gummy and yummy. I’m really enjoying the kiwi candies and dried kiwis I’m finding here. Well, after a little snacking and zoning out at the t.v. a bit I dragged myself to bed around 2:00 am. Had a great night and needed to get out and have some fun while the husband is back home with his kids. Today we are having a going away party for the lady I work for, she’s moving back to the states. I’m making a layered dip and bringing chips for it. Hope it turns out ok, doesn’t look hard just never actually made one before. Tomorrow I get to be lazy I think. yay! Monday I run some errands. 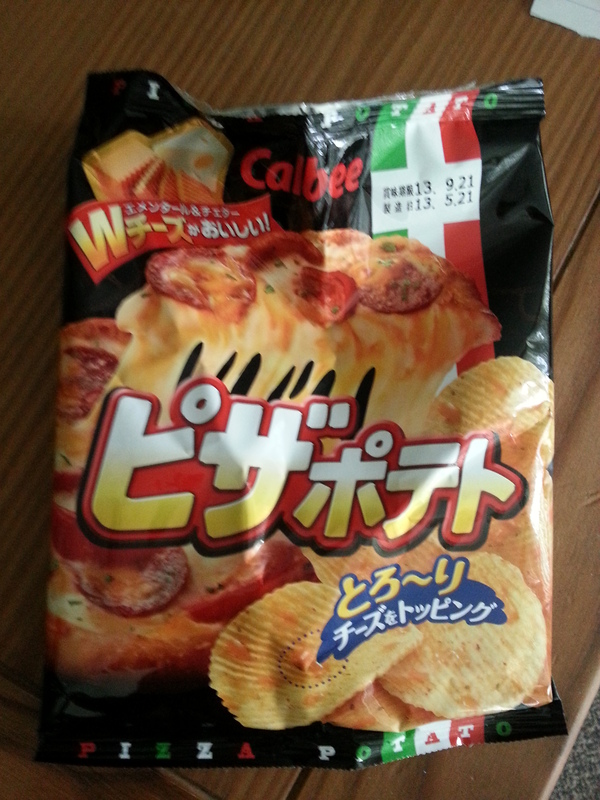 I love those pizza potato chips. The lumps of (probably fake) cheese are great! Yes, I was surprised. These were better than I expected.